Comes complete with case lens caps, rainguard and flotation strap. Vintage Nautical Binoculars From interio crafts with Tripod Stand. Happy Shopping at Interio Crafts. We have in store for our clients, a wide range of Globe Stand Binoculars that are offered to our clients in the size of 8". These binoculars are fabricated using wood and brass for the body, optically clear lenses and brass polish for finishing. 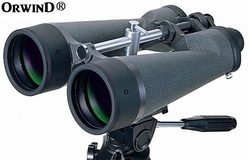 We undertake customization of these binoculars to meet the varied requirements of our clients. - Offering you Brass Leather Binocular Telescope with Crome Finish. - Crafted from high quality of solid brass with real leather strap. - Binocular have objective lens. - The Magnification and focus is adjusted. Available in Antique, Nickel, Shining brass, Gold, Vintage Binocular, Silver & Chrome plating. 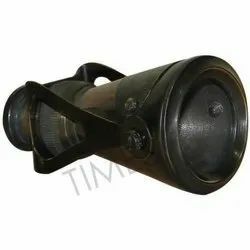 We are leading manufacturers and suppliers of Antique Brass Binocular.